All Aboard! Join Buddy the T. rex and his adoptive Pteranodon family as they live and learn in the Mesozoic Era in this enraptoring 8x8 storybook based on Jim Henson’s Dinosaur Train! All the dinosaurs are thrilled to be going to Junior Conductor’s Academy. Buddy is sure he is going to be a star until meets Dennis Deinocherius—he knows even more about dinosaurs than Buddy does! Instead of competing, Buddy decides that maybe it’s better to work as a team. This storybook contains a nonfiction spread at the back with fun dinosaur data for kids so they can become dinosaur experts, too! © 2017 The Jim Henson Company. JIM HENSON’S mark & logo, DINOSAUR TRAIN mark & logo, characters and elements are trademarks of The Jim Henson Company. All Rights Reserved. 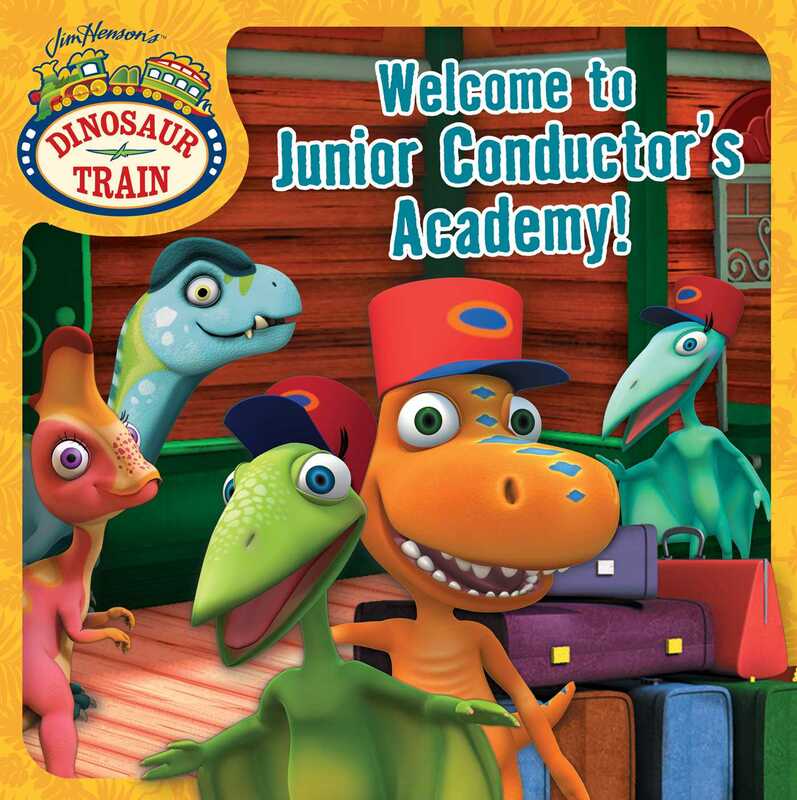 Book Cover Image (jpg): Welcome to Junior Conductor's Academy!